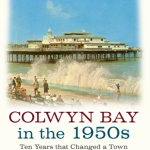 Colwyn Bay lies in a wonderful spot on the sunny coast of North Wales. 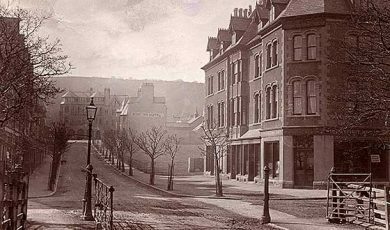 The Ministry of Food relocated to Colwyn Bay in 1939 following the outbreak of the Second World War. 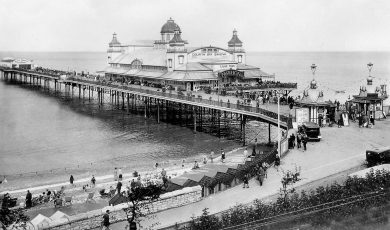 It is little known just how important the work undertaken at Colwyn Bay would be to the survival of Britain during some of her darkest days. From their base on the Welsh Coast, the relocated civil servants not only set about the enormous task of organising the distribution and rationing of food, they also initiated a massive propaganda effort directed at the people of Great Britain to educate them to feed themselves. 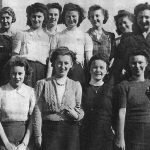 It was from Colwyn Bay that initiatives such as “Dig for Victory” wereset out. 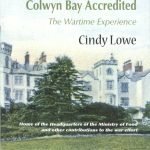 “Colwyn Bay at War” is an essential record of the extremely important part played by this small town on the coast of Northern Wales during the Second World War. Without it, the people of Britain may well have starved. Mae’r llyfr yma ar gael i’w fenthyg neu ei brynu o Llyfrgell Bae Colwyn. 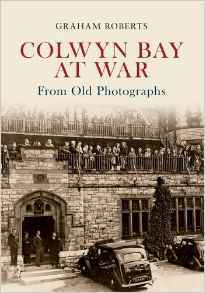 Graham Roberts: Colwyn Bay at War: from old photographs: Amberley Publishing: April 2012: 9781445607702.